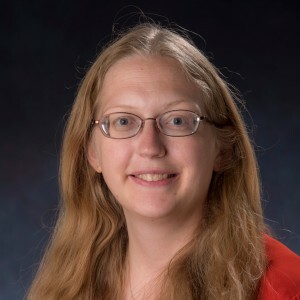 Mary A. Allen is a research assistant professor and responsible conduct of research coordinator at the University of Colorado Boulder. “Either this is sloppiness or misconduct, and either way I don’t think this is a lab I want to be in anymore.” I was terrified as I spoke these words to my first graduate-school adviser in November 2004. Members of my laboratory had seen suspicious data in grant proposals, and the discovery was causing me unmanageable stress. A month later, two colleagues went to the chair of our department, and an investigation began. From the outside, deciding to have that hard conversation was a small part of a gruelling ordeal involving many people. Our lab eventually shut down, and our principal investigator was found to have falsified data on grant applications. For me, personally, that conversation is the result of one of the most important things that I have ever done: making the decision to have a difficult discussion when something needs to change. That’s why I’ve developed a way to help others to do so. Now I am a principal investigator co-running a lab. Our website has a light-hearted Tolkienesque map. It shows the Isle of RNA modification, the Ivory Tower, a Sea of Data — and a career track running through an ethical swamp. Many ask why this is included amid the puns and in-jokes, but I ask why it wouldn’t be. Almost every scientist I know has been through at least one ethical morass in their career. Partly because of my past experience, I teach the responsible conduct of research (RCR) courses required of many trainees who receive government funding. Most of the mandated topics, such as responsible authorship and publication, focus on compliance — following the rules. That is necessary. But it is not sufficient. A responsible researcher needs to be able to navigate conflicts and tricky situations. As I taught my RCR classes, I observed again and again that my students’ most difficult scientific experiences involved the need to have hard conversations. One student described not being included as an author on a paper for which she felt she had done most of the work, and yet was too afraid to discuss this with her principal investigator; another student suspected a collaborator had stolen his idea. Stage one is to assess the situation that is bothering you. I suggest breaking this into four aspects: knowledge, feelings, time spent (working on and thinking about the situation) and risk (personal and professional). Assign each of the four a rating from high to low. If you feel as though your knowledge about the situation is low, learn more before proceeding. Assume ignorance before malice. Also, high emotions and feelings or risk can make you less logical; the stronger these feelings are, the more structure you need to impose on the steps. Stage two is to assess your options. If you think your principal investigator is asking you to do too much, you can ask for a student assistant, to pass a project on to someone else or to drop a project completely. If a collaboration has stalled, your options might be to ignore the problem, to talk to your collaborator about picking up the pace or to drop the collaboration. When I was struggling in my lab, I had the option to ignore the situation, to leave the lab or to confront my principal investigator. At this point, it can be very helpful to consult an outsider to consider other points of view. If your campus has an ombud’s office, it might offer confidential third-party consulting; so might your graduate school or faculty-assistance programme. These perspectives might cause you to repeat stage one, or to add new options. Once you’ve listed these, rank each according to your personal values. Only after iterating stages one and two should you move to stage three. Begin by preparing: gather materials and facts you might need, such as specific examples. Then practise the conversation in front of a mirror or with another person. During the conversation, remain calm and listen. Consider bringing a third person to the real conversation if you fear you can’t maintain composure. After the conversation, make time for yourself to debrief and decompress. Difficult conversations are awkward and stressful. But they can improve your situation or help get you out of a bad one. Some evidence even suggests that simple, non-confrontational conversations about appropriate behaviour with a person doing shady science can nip misconduct in the bud. It can also mitigate authorship issues, clarify collaborations and sort out mentorship concerns. When we avoid hard conversations, our science lags. Our own health and that of our workplace suffers. Communication skills are as essential to good science as statistics and experimental technique. My most difficult conversation was 15 years ago, and I still feel pain looking back on it. But I also know that much of the joy I have felt in science since was because, faced with a problem, I found a way to confront it.